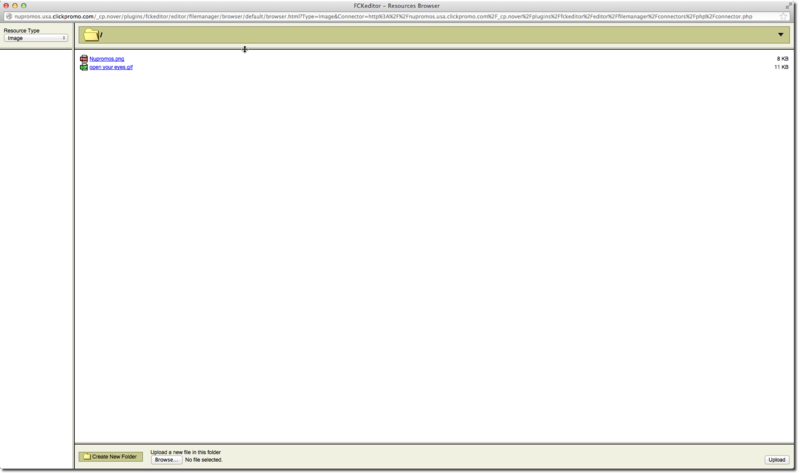 Step 1: From the Home page, click on My Pages from the Pages tab. 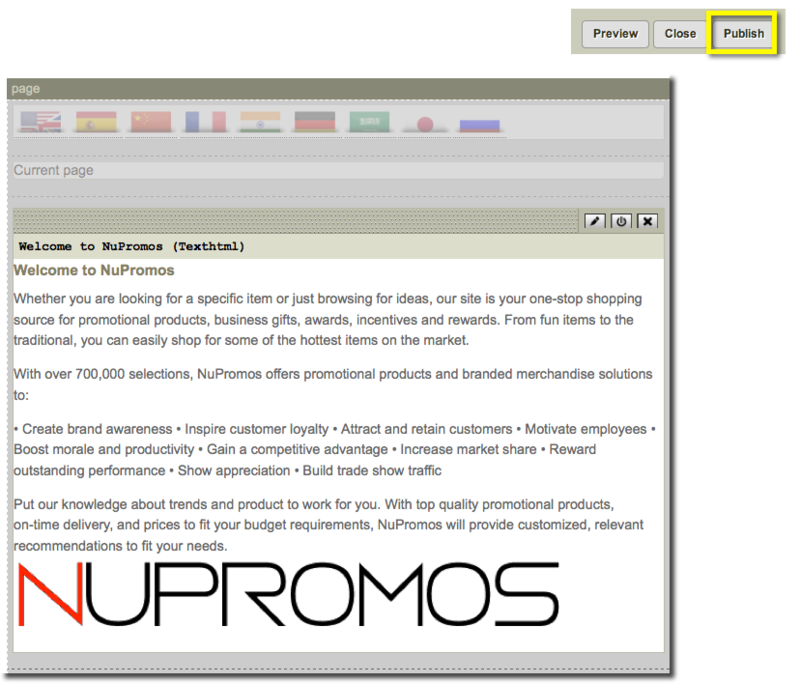 Step 2: In Pages, select the page you wish to add the image and click on "Edit Layout & Contents." Step 3: Click on the Edit button on the module. Step 4: In the text box, click on the Insert/Edit Image box. 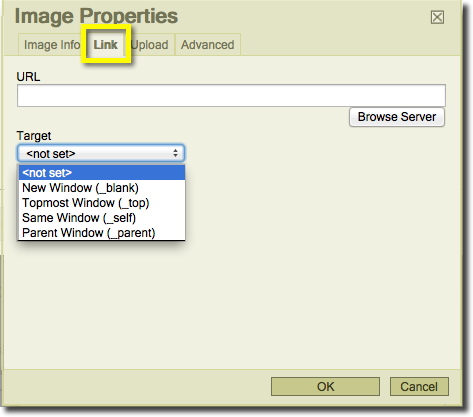 Step 5: Once the Image Properties box opens, click on Browse Server. Step 6: The server will open in a new screen. Click the Browse button to find the image you are looking for on your computer. Once you find it, click on the Upload button to push it to the server. You will find the image uploaded on the server, double-click on the image to proceed. 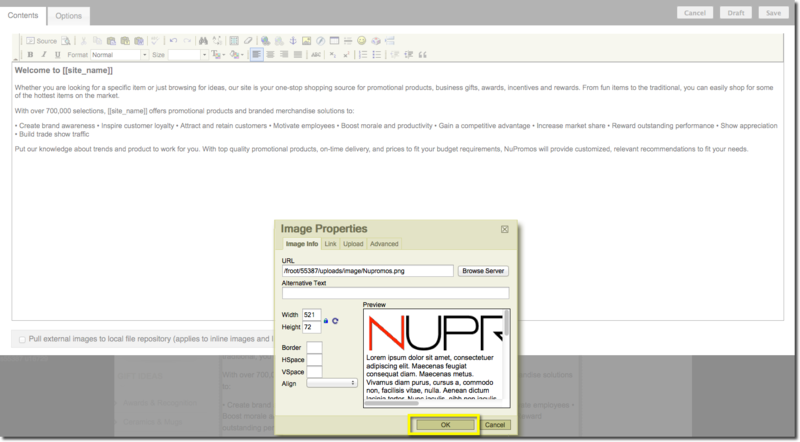 Step 6.1: You can also upload images from your computer by clicking 'browse' selecting the image, click 'open', then 'upload'. The image will appear along with any previous uploads. Step 7: Choose an image image in Image Properties, click OK.
Click on "Save Changes" at the top of the Page to save the linked picture in your text box. 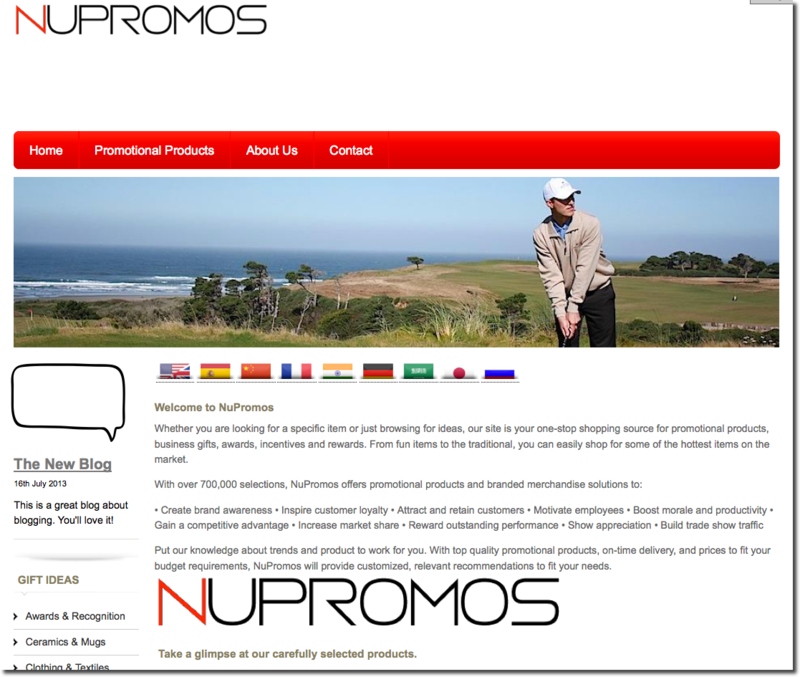 Step 9: Click on the "Link" tab to set up your URL for your picture. You are able to choose from setting your link to open a 'New Window', 'Topmost Window', 'Same Window' (website), or a 'Parent Window'. Click "OK" when done. 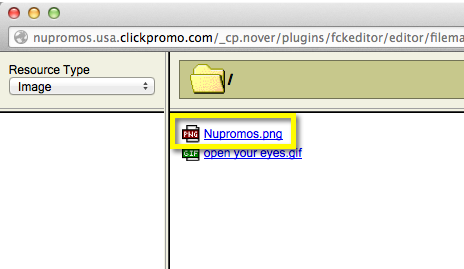 Step 10: Click on "Save" at the top of the Page to save the linked picture in your text box.